Tipped off by poker players, Florida gaming authorities have hit Hialeah Park. Tipped off by a group of poker players, Florida gaming authorities have hit Hialeah Park, Miami's most popular card room, with a list of 11 violations surrounding a tournament that took place in August of last year. Nick Sortal reported the story for the Miami Herald last month, and the list of offenses is jarring. The full list can be viewed in a legal document here. The charges, which come from the Division of Pari-Mutuel Wagering, include failure to issue receipts and keep proper log of entries, failure to have surveillance video that covered the gaming floor, mishandling of jackpot funds and receipts, and failure to comply with procedure in seating players for the tournament. In a story printed last week, the Miami New Times named TJ Shulman as one of the whistleblowers. He hand a handful of other players caught organizers fudging prize money and tournament numbers, making agreements with players in exchange for free entry, and seating players in specific seats rather than randomly-assigned ones. Shulman, an experienced tournament player with $484,360 in live cashes, entered the $250 buy-in $200,000 guaranteed tournament, which took place in late August 2015. He said he noticed suspicious activity, including interactions between players and management, and notified tournament organizers that the payouts were too low relative to the prize pool after doing some math. After being rebuffed, he and a few other players complained to gaming authorities. Months later, the report released by authorities confirmed Shulman's suspicions. According to both articles, a number of staff members have resigned or been terminated in the wake of the bust. The Herald's story notes that it's the "first major card room irregularity" since poker became legal in Florida in 1996. 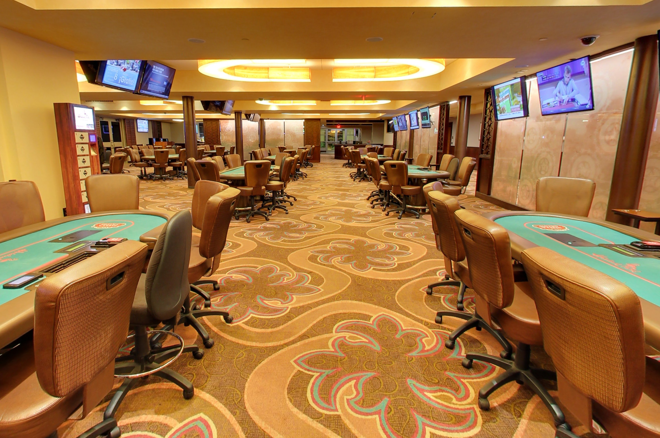 It's at least the second time in recent months that Florida card rooms have found themselves with legal troubles, after lawmakers charged seven rooms with illegally operating player-banked games in January.